Rustic in feel with modern appeal, the Challiman dining room pub table is styled with fascinating flair. Veneered plank table surface serves up cool distressed character. Sculptural legs punctuated by L-shape feet form the industrial-inspired base. 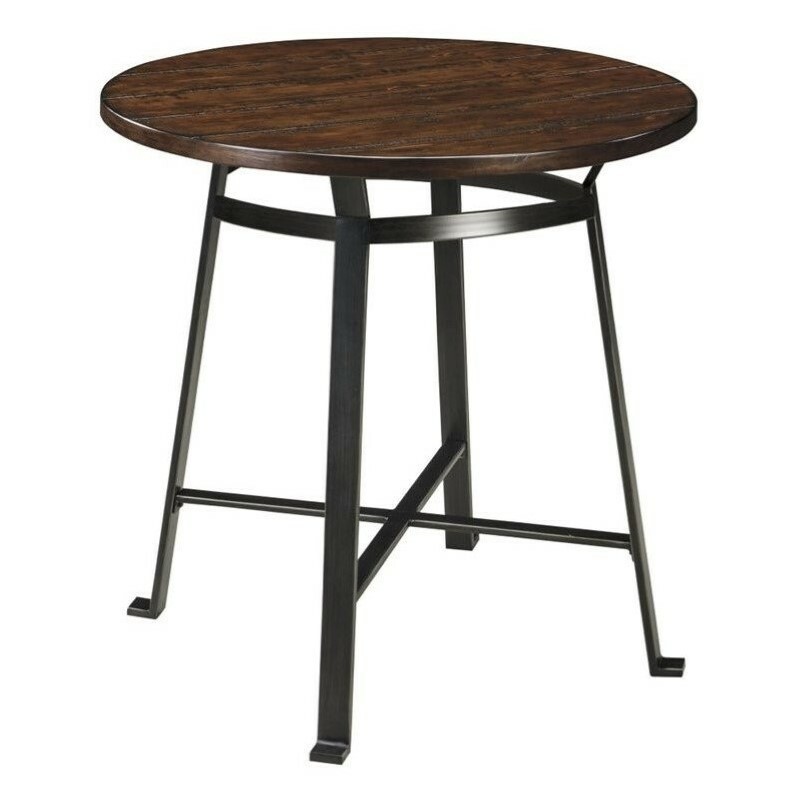 Table frame made with bar shaped tubular metal in blackened pewter color finish. Table tops are made with planked pine veneer with cross saw distress and dark brown finish. Modern industrial styling. Adjustable lever feet.